Find out how the sound experts at ARKAMYS built an Ambisonic microphone perfect for VR recordings that could be in consumers' hands for less that $100. ARKAMYS is on the cutting edge of VR 360 audio research and is one of the leading companies trying to resolve the conspicuous absence of VR 360 audio solutions for the mass market consumer. Since almost every Ambisonic microphone on the market is well out of the price range of the average consumer, the ARKAMYS audio experts worked to design and build an Ambisonic microphone that would cost less than $100 that would still deliver superior Ambisonic sound. This project was designed and implemented to prove that it is possible to create good Ambisonic recording technology for the Virtual Reality and 3D sound mass-market consumer and not just for professional users. The truly revolutionary aspect of ARKAMYS’ proof-of-concept Ambisonic microphone is that it does not follow the standard Ambisonic tetrahedral rules. Instead, it makes use of Mems omnidirectional microphones. 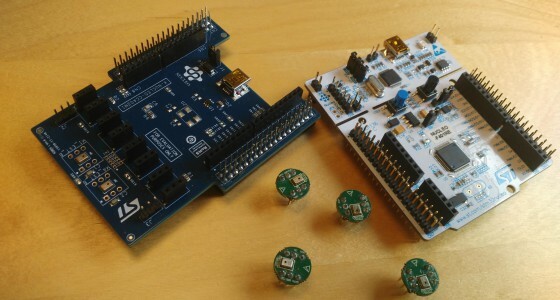 The ARKAMYS proof-of-concept microphone uses 4 STM Mems microphones and a STM32 processor. It can be directly connected to a Windows-based PC via USB, and with the help of the ARKAMYS VR-Capture solution on that PC, it becomes an easy-to-use and affordable solution for recording 360 audio. In seeking to create a mass-market-friendly Ambisonic microphone, the ARKAMYS experts chose to forego the more expensive tetrahedral design and experiment with 4 STM MP34DT01 digital Mems omnidirectional microphones. 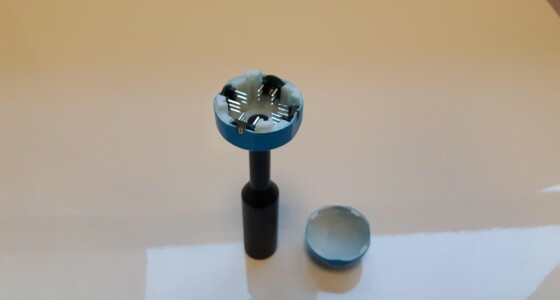 The ARKAMYS audio experts knew that the Mems microphones were not traditionally used in Ambisonic recording devices, but they were confident that this piece of innovative thinking would ultimately produce a true 360 sound experience that consumers could afford. The ST MP34DT01 microphones were positioned around a sphere at 0°/ 90°/ 180°/ 270° in order to provide the correct orientation for the signal so that it can be transformed via the VR-Capture software into Ambisonic sound. Next a dedicated converter was developed to generate a SN3D ACN B FORMAT (the Google Spatial Audio for VR standard). The individual microphone frequency responses were measured by ARKAMYS audio experts in our state-of-the-art acoustics laboratory to define the conversion law from RAW data to AMBISONIC B-FORMAT. 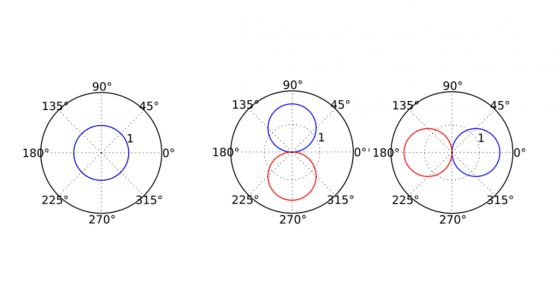 It is very complicated to use omnidirectional microphones to form a proper dipole directional pattern, especially when you are dealing with MEMS microphones. However, ARKAMYS experts were determined to prove that Ambisonic recording devices should be available to every sector of the market, not just people who could afford the high-end prices. The amazing engineers at ARKAMYS had to perform some very sophisticated procedures in order make the Ambisonic transformation happen. They ran acoustical simulations, took microphone array measurements in our anechoic room, created array polar plots and directional tests. Then, the whole thing underwent many hours of fine tuning to ultimately produce incredible 360 sound. After all of this tuning and technical work, the ARKAMYS experts were able to produce a fully-functional Ambisonic microphone that would only cost the average consumer about $100. Through superior skills, a dedication to innovation, and the use of our VR-Capture solution, ARKAMYS has proven that truly immersive Ambisonic sound is within the reach of every type of consumer. Drop us a line to find out more about how our audio experts can help you create a Ambisonic microphone for mass-market consumers, or how our VR-Capture solution might be able to take the existing microphones on your device and create 360° audio.